Detailed planning and communication with team members are vital to creating a successful service. Nurse-led clinics are a vital part of UK health care. They are diverse and are therefore hard to define, but they involve nurses having their own patient caseload and increased autonomy, often using advanced clinical skills such as physical assessment, diagnosis and medicines management. Clinic numbers grew enormously in the late 1990s due to a variety of converging factors. Not least was the recognition by the government that patients could receive effective care from other healthcare professionals in areas where they would traditionally be seen by medical staff. The population has also been ageing and living with chronic conditions that required monitoring and management. Evidence has tended to focus on the substitution of nurse-led care for doctor-led care. Research needs to be evaluated individually, but appropriately trained nurses can achieve health outcomes for patients that are equivalent to those of medical staff. Patients are happy to be cared for by nurses. Role substitution should not be the only measure of nurse-led clinic success and the benefits of nursing care should not be overlooked. Setting up and running a nurse-led clinic offers the opportunity to develop a variety of transferable skills. As well as developing more advanced skills – clinical assessment, history taking and medicines management – the ability to manage time and patient caseloads remains a valued skill in a highly-pressured health service. 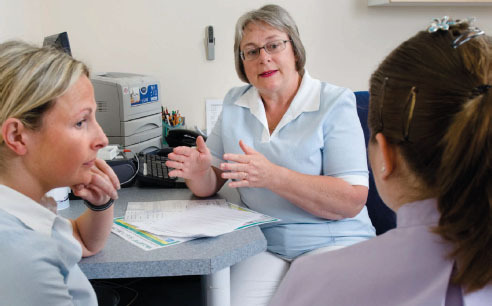 The term ‘nurse-led clinic’ does misleadingly suggest working in isolation, yet good communication skills are developed to a high level by working within the multidisciplinary team, reviewing care together and making referrals. Always plan the set up of a nurse-led clinic with the healthcare team affected by the service. Be clear about the aim of the service. Use change management tools to make the change more effective and sustainable. Reflect on how you will address personal development needs. Consider how best to address medicines management needs. Consider evaluation of the service at the clinic planning stage. Don’t work in isolation – let others help. By using existing examples of nurse-led clinics, it is possible to consider a framework that allows a much more planned approach to starting a clinic, rather than reacting to problems as they occur. Make plans with the healthcare team and the patients who will be using the service. Consider the clinic’s aims and objectives. These will form the overall aim and are essentially your measurable goals. This will make it clear to patients and those referring to the clinic what you do and do not provide. At some point there will be a need to measure the clinic’s value and knowing clearly from the start what its objectives are will be crucial to achieving this. The aim and objectives can be part of a business case which will be necessary to show the viability of the clinic. Undertaking a business case can be daunting but templates are available, usually from the organisation you are working in. More senior staff will have experience in producing a business case and can offer advice. By involving appropriate staff, the business case will be more detailed and valuable. For example, staff in the finance department are useful for helping with costing forecasts. Two useful tools to use when making the business case are SWOT analysis which looks at strengths, weaknesses, opportunities and threats, and force field analysis which is a good decision-making tool. Consider the strengths and advantages to patients, staff and the organisation of running the clinic. What are the weaknesses and issues that may need to be addressed before or soon after the clinic commences? This could include the clinic location, administration staff and staff development needs. Consider what opportunities the clinic will bring. It may have a knock-on effect on other services, allowing staff to address other patient needs. Nursing staff may want to expand their skills and it may be possible to undertake research. As for the threats, think of those who may oppose the service and what you can do about it. Are there other similar clinics being run or planned that may already address the service needs you intend to meet? What if the nurse running the clinic leaves? A force field analysis is a simple and well-known change management tool. It asks you to consider the driving and restraining factors of a particular change. By weighting the factors, you can see what may be enabling or holding back successful implementation of the service. It is also a useful forward planning and proactive tool. Always do these exercises with the team members because they will add a different perspective. Clear communication with the team is vital from the outset. Reflect on how to meet the development needs of the team. One key area will be training nurses to become independent prescribers. Be realistic about what can be learned while the clinic is running. A university course is one way to achieve professional development, but shadowing, mentoring and clinical supervision are all valid methods. These are some areas that need to be considered before setting up a clinic. Planning is essential so that patient needs can be met and the whole experience can be enjoyed by the nurses involved and can contribute to their career development.